SOUTHAM, WILLIAM, publisher and philanthropist; b. 23 Aug. 1843 near Lachine, Lower Canada, first son of William Southam and Mercy Neal; m. 14 Nov. 1867 Wilson McNeilage Mills in London, Ont., and they had six sons and one daughter; d. 27 Feb. 1932 in Hamilton, Ont., and was buried in Hamilton Cemetery. William Southam’s father was a mason from Northampton, England, who immigrated to Canada with his pregnant wife and four daughters in early 1843. Five years later the young family moved to London, Upper Canada, in the hope of better opportunities. His father died in 1852, and William’s formal education ended in 1855 since he was forced to find work to help his mother support his five sisters and younger brother. He became a carrier boy for the London Free Press and was quickly noticed by the publisher, Josiah Blackburn*, and his brother and later partner Stephen. Their interest in Southam was the most important formative influence in his life. They encouraged his love of reading and introduced him to all aspects of the publishing trade. When Southam completed his printer’s apprenticeship in 1864, the Blackburns presented him with a collection of poems by the Scottish writer Sir Walter Scott. This book became Southam’s most cherished possession, but his interests went far beyond poetry and fiction. An omnivorous reader, he enjoyed technical journals as much as literature and political analysis. Southam’s career began in earnest when he became foreman of the job department at the Free Press in 1864. By 1866 the Blackburns were giving Southam a voice in the paper’s editorial policy. To accommodate his political leanings and to meet the competitive challenge of the independent-turned-Liberal London Evening Advertiser and Family Newspaper, launched by John Cameron* late in 1863, the Blackburns shifted the political viewpoint of the Free Press from Reform to Conservative. In 1867 Southam’s growing influence in the Free Press culminated in his purchase of part of Stephen Blackburn’s share and his promotion to superintendent. His interest in the paper and salary of $1,200 per annum allowed Southam to marry, in 1867, Wilson McNeilage Mills, the daughter of James Mills, a cabinetmaker from Scotland. The rapid growth in population and industry in Hamilton was matched by the growth of the Hamilton Spectator. Southam and Carey continued to invest. In 1881 they expanded their business by acquiring the Mail Job Printing Company in Toronto. They landed a large contract to print railway tickets at a time when railways were expanding across the country. A fire in the Spectator building in January 1884 was a setback, but Southam responded by moving temporarily into the quarters of a foundering paper, the Tribune, and hastening the planned move into a new building, which took place later that year. The launch of a new independent, the Hamilton Herald, also proved to be a challenge, but Southam fought back with the weapons of hard work and a mastery of the details of his profession. In 1889 he established a second printing company in Montreal and sent his second son, Frederick Neal, to manage its operations. The death of his partner Carey in May of 1890 and the vagaries of the economy did not prevent Southam from continuing to develop his business. In this he had the help of his sons, who were now old enough to be trusted with parts of the expanding family publishing and printing empire. In 1894 his third son, Richard, was dispatched to Toronto to run the Mail Job Printing Company. Three years later his eldest son, Wilson Mills, who had been his father's executive assistant at the Spectator, moved to Ottawa to manage the newly acquired Ottawa Citizen. Wilson's place at the Spectator was taken by his brother William James, who had been working at the Bank of Hamilton. The fourth and sixth sons also entered the family business. 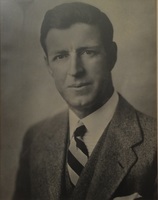 Harry Stevenson* began with Fred in Montreal and then went to Ottawa as Wilson's executive assistant. Gordon Hamilton would eventually serve as assistant manager of the Spectator. In 1903 Southam, aged 59 with six capable and ambitious sons, decided to incorporate the family business. Wilson set up a meeting between his father and Glyn Osler, who had gone to university with Harry and was quickly becoming one of Hamilton’s most prominent young lawyers. The purpose of the meeting was to establish a joint stock company. On 4 March 1904 Southam Limited came into being with Southam as president and Wilson, Fred, Richard, Harry, and William James as directors (Gordon was only 18). Southam’s salary was $4,000 a year and William James, as secretary, drew $2,000. The others were paid a dollar a year plus expenses. Fred, because of his seniority and his successful property deals in Montreal, was named vice-president. Each son got 315 common shares and their sister, Ethel May, was initially given the same. Her stock was later converted to 1,500 preferred shares. The reason for the differential treatment seems to have been Southam’s feeling that Ethel, who made no business decisions, should not have to suffer any negative consequences of risk taking, while the sons were given the freedom to increase – or decrease – their wealth according to their individual ability and luck. Southam Limited expanded across the country, acquiring interest in and ownership of, among other newspapers, the Calgary Daily Herald (1908), the Edmonton Journal (1912), the Winnipeg Evening Tribune (1920), and the Vancouver Daily Province (1923). In 1927 a new holding company, the Southam Publishing Company Limited, was formed for the family’s newspaper interest. 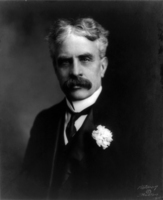 With his family empire formally established, and with the management of his core businesses in his sons’ control, Southam had more time to pursue other opportunities. Through his investments and directorships he helped to establish and sustain a number of important companies. These included Hamilton and Fort William Navigation (which merged with Richelieu and Ontario Navigation to become Canada Steamship Lines); Hamilton Steel and Iron [see Cyrus Albert Birge*]; Mercantile Trust; and Cataract Power [see Sir John Morison Gibson*]. 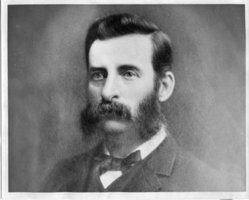 After his modest beginning as a paper carrier, Southam was now one of Canada’s most important and successful men of business. Having set an example of hard work and community involvement, he could justly claim to have been one of those responsible for the industrialization of the country. Southam’s strong public spirit showed itself in the civic responsibilities he undertook locally, and in his activities as a patriotic Canadian. Hamilton benefited in many ways from his philanthropy. He invested $50,000 in John Milne*’s Pure Milk Company, whose purpose was to provide healthier, cleaner milk throughout the province. Although the company was not consistently successful Southam backed it because he believed in the cause. In 1907 Southam gave $15,000 to the newly formed Hamilton Health Association for the construction of the Hamilton Mountain Sanatorium for Consumptives to combat tuberculosis, a health problem of horrifying proportions in early 20th-century Hamilton. Southam and his wife furnished and equipped the building with their own money. Southam then donated $50,000 for the construction of the Southam Home for Incurables at the north end of Hamilton. This facility provided for the overflow of patients from the Mountain Sanatorium, gave care to those in the advanced stages of the disease, and served as a front-line dispensary in the fight against tuberculosis. When the Mountain Sanatorium was expanded, the building in north Hamilton became a maternity home, which provided for unwed mothers. In 1927, to mark their 60th wedding anniversary, the Southams added a pavilion to the sanitarium. Besides contributing generously to local health facilities, Southam, an Anglican, volunteered his time to serve his church. He was a sidesman at Christ’s Church Cathedral in Hamilton and sat on its committee of management. His public spirit is also evident in his actions at the outbreak of World War I. Southam was a strong supporter of Canada’s important role in the war [see Sir Robert Laird Borden]. He worked with Lieutenant-Colonel John Alexander Gunn of the 24th Infantry Battalion to produce a book of marching songs. Gunn compiled the songs and Southam had them printed, at his personal expense, for free distribution to every soldier with the Canadian Expeditionary Force. Bound in khaki covers and small enough to fit in uniform pockets, the books included hymns, a prayer, and the text of Lord Kitchener’s famous “guidance to British troops.” They were enthusiastically accepted by another Canadian nationalist, the minister of militia and defence, Samuel Hughes*. One cannot do justice to Southam’s life without mentioning his passion for sports. An active member of the Hamilton Golf Club and the Hamilton Cricket Club, he curled at the Ontario (Thistle) Club, fished, hiked, and lawn bowled. He promoted fitness in his newspapers, extolled the virtues of a healthy lifestyle, and advocated walking long before it became a fashionable activity. Until a few days before his death, he went on foot from his home to his office every business day. “Exercise is essential to the man who wants to make the most of himself in business or in any other walk of life,” he declared. In fitness, as in other fields, Southam saw the need for promotion and investment, financial and otherwise, before most other people did. It is important to note that in all his undertakings Southam led by example. This is nowhere more evident than in his reaction to the death of his youngest son, Gordon, in October 1916. While in command of the Canadian Field Artillery’s 40th Battery (called the Sportsmen’s Battery after Gordon, who was a gifted athlete, and one of his lieutenants, Constantine Falkland Cary Smythe* of Toronto) he was killed by a direct hit. He had gone forward to supervise the withdrawal of his men during a fierce enemy artillery barrage. Privately Southam was devastated; publicly he remained steadfast in his support for Canada’s war effort. Southam kept an active interest in his business, his editorials, and his city until shortly before he died, aged 88, at home. He left no shortage of aphorisms that could serve as an epitaph. His favourite, or at least the one that appears quoted most often in his correspondence, concerns his advice for success. He believed that “one of the most essential things is for a man to first master the details of the business on which he embarks. Then, if he is hard-working, studious, and obeys the ordinary rules of right-living, it is altogether likely that he can look back upon his career as successful when it is ended.” His legacy extends far beyond this observation and is to be found in the publishing empire he established, the little khaki-bound songbooks for soldiers that can be seen in museums across Canada, and the care given those in the sanitarium he built for his city. There were at least two editions of the songbook that William Southam donated for soldiers with the Canadian Expeditionary Force. Examples are Regimental songs: Canadian Expeditionary Force, 1914-1915 (copy at the Canadian War Museum, (Ottawa)) and The Canadian soldiers’ song book (copy at Hamilton Public Library, Special Coll. Dept. (Hamilton, Ont.)). Hamilton Public Library, Special Coll. Dept., Clipping files, Hamilton biog. ; Scrapbooks, Christ’s Church Cathedral; Weaver pamphlets, Pauline Jardine, “The Hamilton Health Association, an examination of motives for health reform: the Mountain Sanatorium, 1902 to 1916” (undergraduate thesis, McMaster Univ., Hamilton). Hamilton Spectator Library, William Southam “dead file.” Hamilton Spectator, 9 Jan. 1882; 16 March 1904; 1 Nov. 1928; 27 Feb., 11 April 1932. Charles Bruce, News and the Southams (Toronto, 1968). DHB, vol.2. David Gagan, “For ‘patients of moderate means’: the transformation of Ontario’s public general hospitals, 1880-1950,” CHR, 70 (1989): 151-79. G. W. L. Nicholson, The gunners of Canada; the history of the Royal Regiment of Canadian Artillery (2v., Toronto, 1967-72), 1. Paul Rutherford, A Victorian authority: the daily press in late nineteenth-century Canada (Toronto, 1982). Minko Sotiron, From politics to profits: the commercialization of Canadian daily newspapers, 1890-1920 (Montreal and Kingston, Ont., 1997). William Newbigging, “SOUTHAM, WILLIAM,” in Dictionary of Canadian Biography, vol. 16, University of Toronto/Université Laval, 2003–, accessed April 24, 2019, http://www.biographi.ca/en/bio/southam_william_16E.html.